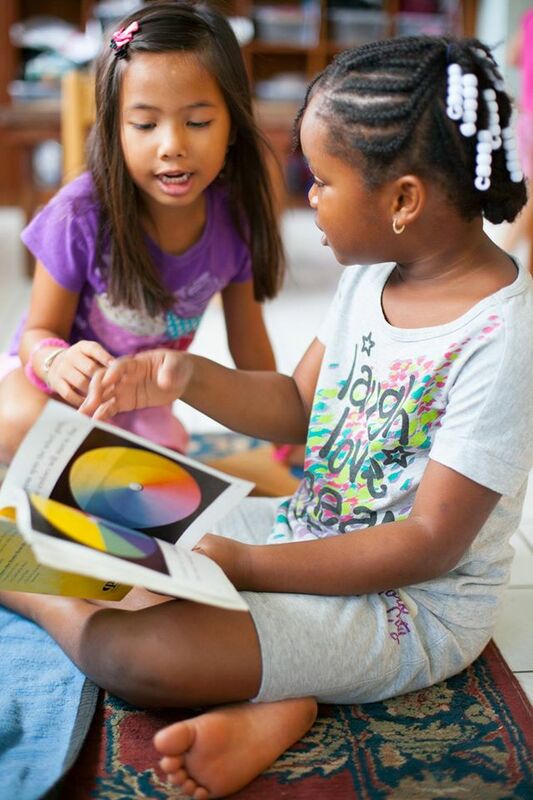 To provide a comprehensive Montessori program accessible to children in St. Croix, US Virgin Islands from birth to adolescence. Using the philosophy of Maria Montessori, we provide an environment where children feel emotionally and physically safe, are valued, grow and learn to their maximum potential, think independently, and contribute to the world and society in innovative and meaningful ways. Maintain a cutting edge educational program for children between the ages of 2 1/2 years to 12 years old based on the principles of Dr. Maria Montessori. Provide a curriculum that adheres to the strictest standards of Association Montessori Internationale (AMI), thus giving the child a solid basis of education to support his/her growth as an individual. Create and maintain partnerships with the community and parents to ensure the success of the program and the full development of the child. Implement a program where the needs of the child come first, where children can realize who they are and the effect they have on the world so they can enter society as lifelong learners who care about people and the world in which they live. Recognize that it is a child’s natural tendency to want to learn and grow, regardless of that child’s race, color, creed or economic background; and to encourage and stimulate that child’s desire to learn so the he or she will develop self-discipline, creativity, independence and a lifelong love of learning. What a beautiful vision and mission!